This June long weekend has been the first one that we have been home for in a few years, normally we have been heading to Sydney. This year however was different, we had friends come and stay with us, with their precious 2 year old twins, they packed up their car and headed west to us. It was pure bliss, they were such easy house guests and the Muddy Kids just loved showing the twins all of their toys and all around the farm. We took them up the paddock and checked the sheep, we got them on the bikes and the tractors and even the back of the ute. We shared good food, good drinks and good stories. This friend and I used to live together many years ago and it was just like slipping into old times, being in the kitchen together, just chatting and reminiscing, but with the added element of husbands and children, it was delightful. Simply delightful. I am so grateful this week for when old friends visit with their new families, it is so special to be sharing our families and hopefully our kids will be firm friends like we are for a long time to come. 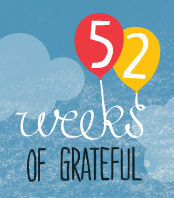 Linking up at Village Voices for 52 Weeks of Grateful. 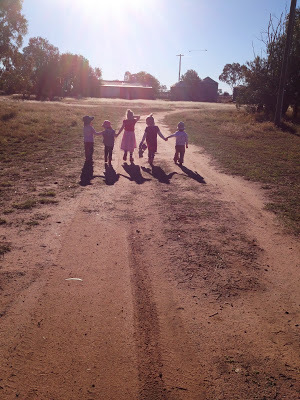 This entry was posted in 52 Weeks of Grateful, Family, Farm, Kids Play, Photos, Ramblings on June 11, 2013 by nat. Sounds like a perfect way to spend a long weekend.